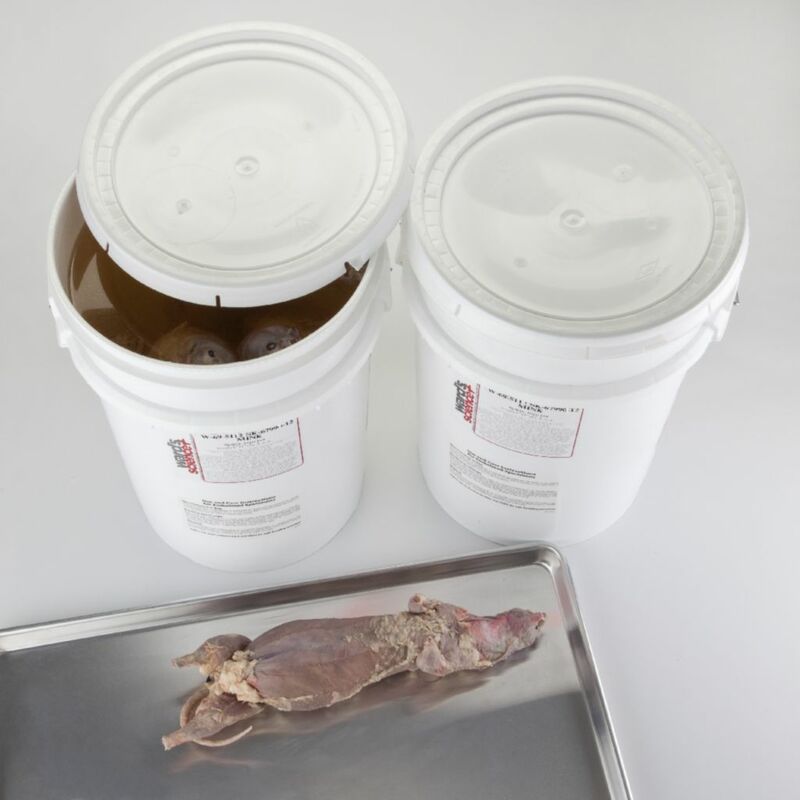 Formalin-preserved mink are available in vacuum packs or pails. Ranch-raised specimens are skinned with all internal organs intact and undamaged. The feet may be cut and neck vertebrae broken due to processing, but this will not affect dissection and anatomy studies. Mink dissection makes a great alternative to cat dissection.